Blasphemy From The White House: What is Behind Trump’s Big Mouth? Under the new US administration, the ruling order of the country has not drastically changed. Domestically, the rising power of policing agencies alongside cuts in social spending has not ceased. Internationally, the USA still stands with western Europe against the bloc of independently developing countries centered around Russia, China and Iran. While trends in actual policy remain roughly the same, one thing has certainly been altered. While the international order of western liberalism and globalist capitalism remains intact, statements hostile to it and contrary to its values continue to flow from the White House. On an almost daily basis, statements that are completely contrary to the narrative of the “international liberal order” flow from the mouth of the commander-in-chief. The examples are numerous. While the voices of global capitalism insist that Kim Jong-Un is a mentally unstable, unintelligent, delusional, paranoid lunatic, Donald Trump has called Kim a “smart cookie” and said he is open to meeting him. Trump said that Obama had utilized the surveillance apparatus of the USA to “wiretap” him during the election. The US media responded angrily insisting that the federal government always follows due process and standard procedures and that such an occurrence just could not have happened. While Trump’s statements are absolutely contrary to the narrative and worldview of the prevailing international order, they have not translated into any concrete changes. If anything, Trump has escalated the policy trends of his predecessors. Trump did what Obama proved ultimately unwilling to do, and directly struck the Syrian Arab Republic with cruise missiles. Trump now threatens war against North Korea, and has escalated the anti-Iranian and pro-Israeli tone of US leadership. Furthermore, Trump cuts social programs and spending much more vigorously than his opponents, and has positioned himself as an ally of the policing agencies against those who protest them. During the age of feudalism, the political and economic order depended on the absolute obedience of society to authority. Nobles claimed to have the authority of God, the “divine right” to rule over serfs and peasants. The church, based in Rome, led by the Pope, was considered to have infallibility in defining and articulating God’s wishes, the basis the state. To utter statements that were contrary to that of the Church was to call into question the entire order of society. To deny the existence of God or to question the theology of Rome was one of the most wicked and harshly punishable crimes. Galileo Galilei was famously forced to recant his belief that the earth was not the center of the universe, as this simple astronomical fact put the entire social order in danger. Much like Galileo’s belief in that the earth was not the center of the universe, Trump’s heretical statements are pretty much true, driving the mainstream media to harshly castigate him for making them. “do you really think this country is so innocent?” should be obviously agreeable to any student of American history. The USA was founded with the slaughter of Native Americans and the exploitation of African slaves. Since the end of the Second World War, the United States has worked to topple numerous independent governments, while backing many bloodthirsty and repressive regimes that were friendly to Wall Street and London. Within US borders many dissidents such as Martin Luther King Jr., Joe Hill, and Chelsea Manning have faced the wrath of the state. Trump’s statement that Kim Jong-Un is a “smart cookie” does not defy logic. The entire world objects to the DPRK’s continued proliferation of nuclear weapons. The DPRK faces crushing economic sanctions, as well as a huge hostile military presence in the southern part of the Korean Peninsula. The Korean territory controlled by the DPRK is mainly mountainous, with very little arable land, making food self-sufficiency quite difficult to maintain. Yet, despite all of this, the Korean Workers Party holds on to power, and the centrally planned socialist economy, based on the principles of “Juche” remains fully intact. 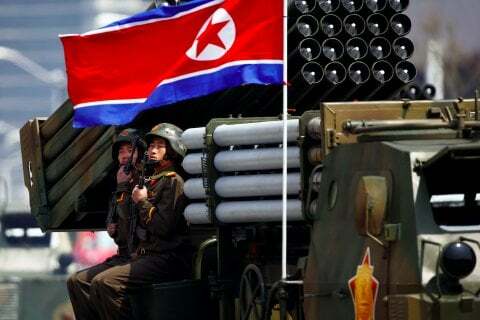 Under these most hostile circumstances, not only does the DPRK not collapse, but it has launched satellites into space, and continues to conduct missile and nuclear tests, flying against the wishes of highly powerful enemies. Whether one approves of him or not, why would a leader capable of presiding over such activities, under such hostile circumstances, not be considered a “smart cookie?” Such ability certainly demonstrates prowess of leadership. Furthermore, Trump’s suspicion that Obama or the NSA may have abused powers of surveillance against him, while still unproven, is not completely incredible. The response of the media, citing the elaborate procedures and legal protections of US citizens seems to ignore the fact that US officials violate such rules all the time. For many years a police officer in the Chicago Police Department tortured people in order to extract confessions from them. Jon Burge was eventually caught and punished for his activities, but for years he was carrying them out on a routine basis. Many individuals were convicted of crimes and sent to prison based on confessions extracted with electrical shocks and other illegal methods. The fact that Burge’s actions were illegal and violates standard procedure did not prevent them from occurring. 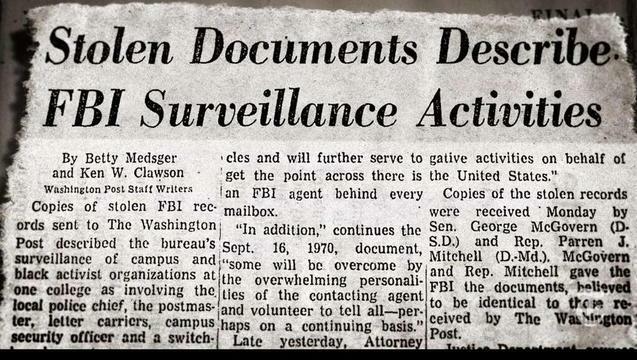 During the 1950s and 60s, the FBI launched a program called COINTELPRO designed to silence political dissidents. The program involved surveillance, infiltration, and active disruption and repression of many political activists groups. The COINTELPRO program not only targeted the US Communist Party, but also pacifist groups, civil rights organizations, and many others which opposed the status quo in the USA by only peaceful means. The program obviously violated constitutional protections of free speech and assembly, but it continued for many years. To think that authorities in the United States always respect the right to privacy and civil liberties of the population, and would never abuse their power is absurd. Edward Snowden revealed a widespread apparatus of surveillance in the USA. Is claiming that this apparatus may have targeted Trump really such a big stretch? Trumps willingness to stray from the standard narrative and make statements against the status quo probably caused many of his supporters to believe that his Presidency would lead to a complete re-shuffling of America’s domestic politics and foreign policy. This obviously appears not to be the case. So, if not serving as the basis of policy, what purpose do Trump’s routine “blasphemous” statements really serve? Perhaps the answer can be found by once again looking back into the medieval social order known as feudalism. During the time of feudalism, nobles ruled over serfs and peasants with almost complete and absolute power. Peasants could be tortured, killed, starve, or otherwise repressed at their convenience. Concepts like ‘the rule of law’ and ‘human rights’ had not yet emerged. However, there was an entity that did occasionally protect peasants and serfs from the extreme violations reigned down on them by the land owning aristocrats. This was the King. The King was part of the aristocracy who did not have a small principality of his own to rule over, but instead ruled over all the nobles as the head of state. The King often served the purpose of disciplining and restraining the nobles, on behalf of the peasants. Peasants often sang ‘God Save The King’ and viewed the King as the one who was on their side against the local landowning noble, their direct oppressor. By holding back the landlords, the King served the purpose of keeping the feudal order intact. Peasants were far less likely to revolt against the system that claimed divine authority, if it appeared that there was at least one figure within the feudal structure, who worked on their behalf. By occasionally demanding that the nobles provide services or show acts of kindness to peasants, and reprimanding them for particularly outrageous acts, the King presented the illusion that the system of feudalism wasn’t all bad. The problem wasn’t the system, it was just those bad nobles who were selfish. The peasants could be reassured by the fact that despite the outrages of their local day to day oppressor, there was a good man at the top who occasionally stepped in to protect them. 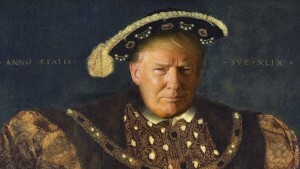 Trump’s blasphemous statements against the liberal order may serve the same purpose as the King’s repression of nobles. With the increased accessibility of information, millions of people are aware that the USA is not innocent of repression and murder; that the standard narrative about the DPRK and other demonized countries is not correct; or that policing agencies and federal officials often abuse their power for selfish reasons. Such rising sentiments, inflamed by the accessibility of information and the economic crisis, have fed protests, rising dissent and the growth of alternative political forces on the far-left and the far-right. By saying what he says, Trump is reassuring the increasingly critical and cynical population that there is someone who agrees with them on the inside. While the rise of the low wage police state continues, Americans get poorer, civil liberties disappear, and international tensions escalate, those Americans who are displeased can feel reassured by the fact the most powerful man in the country sounds like he might possibly agree with them. Trump’s blasphemous words, while in no way backed up with policy changes, may actually serve to reinforce the status quo he contradicts. As long as those who agree with his cynicism feel like they can be heard and that someone as powerful as the President agrees with them, they will be less likely to actually work toward challenging the powers they despise. It appears that in a world based on myths, where an increasing number of people realize that they are surrounded by falsehoods, a loud mouth in the most powerful seat, who routinely blasphemes against the standard narrative, can be essential to maintaining order and preventing a social explosion.